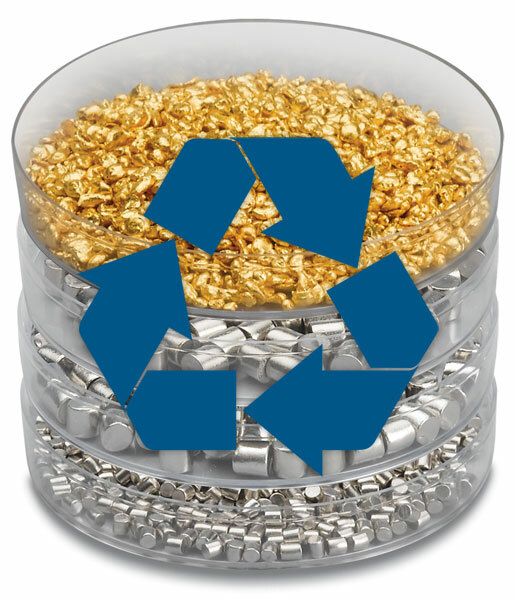 “Don’t acquire gold, silver, or copper. Carry no purse, no knapsack, no sandals. Don’t bring a second tunic or a staff. Don’t stop to greet people along the way.” Q29, Lost Gospel Q. There are many people in today’s cynical world who write blogs, magazine articles, report various viewpoints on T.V. and radio, and even some who preach the word of God that would have you believe that God’s economy is the same as man’s economy. There are some who would tell the stories of the bible linking them to our current-fiscal crisis; the political storm which took over the United States Government and which was successful in closing the Government partially and treating the world economy at large, all while linking these events to God. Some even use the bible to condemn rich people, the wealthy establishment, those who do not have to worry ever of where their next meal is coming from. But I tell you that money which fuels the United States Economy, and the world economy is not and has nothing to do with God’s economy for God has no use for those things of the this world for everything in this world will someday pass away. Jesus did not preach about how to collect wealth, but rather how wealth was to be used in this life to help those in need, for to transfer man’s earthly wealth to heaven cannot be done. Man’s creation or false sense of security we lovingly call our economy is just that a creation of man, not God, therefore nothing we make, build, or invent can be taken with you when you die no matter how hard one tries. The ultimate example of man trying to take his wealth with him is found throughout the world in the great tombs of long lost Kings and Queens, most notably that of the Egyptian Pharaohs, of which great riches where buried and then later plundered. But yet the economy of God in this posting refers to your relationship with God, his riches that which he shall bestow upon those who served him in this life and who proclaimed His name to all the Earth in this life. For Jesus stated quit clearly do not collect gold, silver, copper, and in this he was telling those who believed in Him as the son of man that these Earthly things will not be of any value in the world yet to come. “Don’t be blinded by the pursuit of food, clothing, and possessions. Stop worrying about these things. Only those who lack spirit and soul pursue them. You have a Father who knows what you need. Set your heart on God and these other things will be given to you.” Q53, Lost Gospel Q. The word, “Don’t” is very clearly a command to “Not Do”, it is very clearly a, “Do Not”, from the Lord! He is guarding us from the same sin which took down Eve in the Garden of Eden, He is trying to keep us safe from the sin of Pride which Lucifer had fallen from grace over thus spawning original sin. It is a sign-post to take exceptional note of and to obey completely and faithfully. Over and over in the Bible one can find the basic story of how mankind is corrupted by jealously, lust, and greed, all of which leads to violence and crime. “Do Not build your wealth here on Earth”; “Do Not be blinded by money and wealth”; “Do Not acquire gold, silver, or copper”; All are implicit commands to stay away from this most damning of temptations because those who fall to this sin will not be sharing the riches of Heaven, those people who fall to this sin are in Jesus’s words, “lacking in spirit and soul”. So, I find it very troubling that man completely and utterly ignored this command from Jesus and instead created great wealth and through that wealth, (which continually grows for a small select few of the world’s population), that we now have great poverty thrust upon those who have not the same resources in-which to compete against a person of means. The sin is not in the act of acquiring but rather in the larger picture of destruction it reeks upon the world at large; i.e. the rich man who does not spend his money to help the worlds hungry, or to educate the worlds illiterate, and / or the rich man who does not use his money to build homes for the homeless; all of this is in-fact the acts of the rich who are lacking in spirit and soul. What good is there in giving to those who have while ignoring those who have not? How simple it is to keep building wealth while ignoring the abject poverty their lack of action in helping those lesser off than they creates! Reaching further into the roots of this sin of wealth building for the sake of building wealth we find this guiding question; “What good would have come if those who are rich in economic resources had helped to build homes, schools, pantries and soup kitchens, and to care for the sick and elderly, what impact would this kindness have brought?” But rather the sin is in the decision to willfully deny God’s people by not sharing the wealth but rather using it to buy bigger and better homes for ones-self, to buy outlandish yachts to display ones-own wealth and personal power, to buy businesses for the sole purpose to fueling ones-own greed and to keep the money rolling into a singular coffer so as to be spend on foolish things which do not improve the world or it’s population by any degree of measure. The sin is profoundly rooted in the question; “What miracles could have been worked for the benefit of all mankind?” For the repercussions of greed is rooted in the impoverishment we see worldwide, thus it is not that God hates rich people rather God hates the greed the rich are subjected too, God hates the lust for power that the massively wealth entertains daily! God hates the politics which rich people endorse that leads to the buying of a bigger home rather than to help in the purchasing of homes, (plural), for the thousands who are homeless, the lack in soul which prevents and distorts that beautiful and graceful miracle of helping people of all walks of life to be feed, or educated, and / or to be cured of their life zapping illnesses. God hates the choice some of the most wealthy partake which serves ones-self, (in the singular), interest by commiserating in the blissful spending of wealth on selfish and self-serving things! The same is true with great nations like the United States, Great Britain, the former Soviet Union, Nazi Germany, Britannia, Rome, Egypt, and the great Central American empires of the distant past. History records God’s wrath played out upon those people who refused to build better for the common good and defense of all, the sharing of resources and wealth, and who rather played the politics of man rather than to set their eyes upon God. All these great empires with the exception of the United States lost their position because they rather set their collective sights on the power that their economics brought to them than the good they could have done with it. Every single empire sought out war to increase their collective wealth, sacrificed millions of their own son’s to secure their dominance over their neighbors and to plunder resources which did not belong to them. The United States in some of these sins share an equal part of the over all punishment and damnation which all other nations have been burned by, and yet there is one specific sin which the United States vastly out weights every other nation on earth for, that sin is PRIDE! The American Pride is exceptional in all the Earth, it fuels the American erogance which has brought low the economic worth of the dollar to the point which the United States Government shows off its complete and utter futility to fight against it’s self, to guard against it’s own self interest, and too in the greatest of political struggles manage to boast of how the world needs it’s security when in fact it was the security of the American Dollar that the American Government came so close to devaluing for a second time in the course of the past three years of infighting! No other country would have allowed its currency to be devalued through it’s own governmental system or construct, for no other country is as erogant as the United States! The American sin is illustrated in no greater way than the political hemorrhaging of the Republican Party from 2009-to the current date due largely to an inflated ego that allows the American Federal Legislature to exhibit over confidence, the sin of wealth has produced unrivaled political brinkmanship, and all this has put on display before God and the world something which God does not tolerate, hypocrisy! How can representatives spout that America spends to much if their own strategy spends more money in a 16 day period than the law it was trying to unfunded will spend in 10 years? How can representatives vote to destroy an economy their constituents voted them in to save? How can representatives justify putting millions out of work, keeping them from paying their bills and yet receive a pay check to do the same thing they have keep millions from doing and which by virtue of their actions prevented the nation from doing? This American hypocrisy runs so deep that it even allowed a small fraction of the House of Representatives, (The Peoples House), to take hostage the entire Federal Government, paralyzing the nation and the world, forcing millions to go without food, housing, education, medical care, and it was the sole cause of the shut down! Yet these 144 members blame the President who refused to allow them to continue playing this game, refused them from hurting more Americans, and possible the world economy! In doing further investigations it is apparent their own hypocrisy spilleth over, for many use the government resources they fought to shut down for the masses, many of them have taken from the purse of the nation in support for their own families and constituents, while spouting the evils of big government! It would seem that the Peoples House no longer serves all the people, it is in these deeds of man that God said to “Not Do”! “Don’t pile up your treasures here on earth. They will be destroyed by moths and rust and stolen by thieves. Store your riches in heaven where moths and rust are powerless and thieves cannot break in. Wherever your treasures is, your heart will also be.” Q 54, Lost Gospel Q.
God’s economy is vastly different than the examples of the economy of man above. God’s economy is anchored upon principals that build faith in God. This economy is in general one of faith, obedience, loyalty, love, forgiveness, mercy, and is secured upon the corner stone of God’s grace. Therefore, Jesus instructs us to not build up treasures hear on earth, rather store your riches in heaven. The riches Jesus is talking about is not currency that comes from earthly materials but rather the love and grace you bestow upon those less fortunate than yourself. God’s currency is your obedience, your willingness to set your sights on Him alone. Through this Jesus also uncovers a mystery of how God measures this obedience for Our Lord states quit clearly, “For wherever your treasure are, there to is your heart”, and God lives within your heart, He breaths in the same air you breath if you willing accept His presence in your life. God promises to never let you down, to always be with you and to guide you, and most importantly to love you no matter what. This does not mean that He agrees with everything you do, or endorses everything you endorse, but He promises to mold you into a more perfect person if you allow Him too. Thus, the 144 Congressman who voted to keep the United States Government shut down and to ruin the economic power of the United States and to destabilize the world economy, God does not endorse their politics or political brinkmanship, but God still loves them and is open to forgiveness even though the vast majority of Americans will not. That in and of its-self is the best example of Gods grace in action. In this Jesus is also adamantly expressing the totality of treasures awaiting us in heaven, for it is better to be loved by family than to have a million dollars of man’s gold, silver, platinum, or a million acres of prosperous crops, for the real reward is rooted in the deep love of family and this love is eternal even during periods of fighting and name calling. In this way to be called a son of God, a brother or sister of Jesus Christ is ultimately the best treasure anyone could ever hope for because this at its core means God so loves you that he sees you as one of His sons or daughters, and this implies by all of God’s promises that you shall eat from the table of the Most High God. This treasure cannot be destroyed by moths or rust, nor stolen by thieves, and God never takes back something which he has given in good faith. The attainment of Heaven is in and of it’s self the full embodiment of the victory of the cross, for even death cannot permanently take away what God has blessed you with. The economy of God is not fickle and never will it sway in the wind. God knows every one of your needs and he places those needs above your wants, taking good care to love you and to provide for you those things that will sustain you. The treasure of God’s love exceeds all known currency of man, it is priceless among the measures of men, it over shadows all nations wealth and power by such an amount there is no way for man to completely comprehend what is truly gained for such a small act of faith in God. All of this might sound lofty but the proof has already been shown within the life and times of Our Lord Jesus Christ, proof has been exhibited by the conversion of the Roman empire to Christianity by a small group of believers. The word of God is the expenditures Our divine Lord has made on our behalf, it is the greatest of purchases for it redeemed the entire world forever and ever. By stark contrast one cannot be a true believer if one votes to destroy something which God has granted, or to act for the benefit of a small group who wants to enrich themselves and impoverish the entire world within the same selfish act. Jesus called these people lacking is spirit and soul, and His proof is found within His own deeds and beliefs as He took on the sin of the world. For I shall argue that there could not have been salvation without the obedience of Jesus Christ, there could have been no salvation if Jesus had not been willing to die for it. Likewise, Jesus was not dying to save man so that man could boast, or quibble about silly power which in and of it’s self is an illusion cast over mankind’s eyes by Satan, but rather Jesus saw the fruits of His efforts in their full and absolute entirety which is something that Satan nor man could ever do. God’s currency freed us, helps and guides us, and is ever present in every action we take when we accept His will in our own lives, just like Jesus did. “If the owner of a house knows when a thief is coming, he will be on guard and not let anyone break into the house. You too must be prepared -the son of man will arrive when you least expect him.” Q55, Lost Gospel Q. The mere fact that the United States Government could be brought low by a handful of Republicans is a sign that the House of the People is not on guard, that its eyes are not set upon God! In fact this could easily be said about every government in the world who has succumb to such faithlessness that it would allow it’s actions to bring such harm to it’s population. The same can be said of individual people who have allowed their lives to be controlled by a radical family member, or the harlot who allows her body to be defiled every night by different men in the pursuit of money or pleasure, or the greedy man who has allowed his heart to be hardened so that his mind can be eased by the deceitful act of murder, theft, or slander for the pursuit of personal gain. The powerful among us have available to them many pleasures, but they like the poor shall be judged by God’s perfect measure of the heart. The faithful man or women will be ready as their house will be in order, all things in it’s proper place ready for the Son of Man. There will be no thief that will be able to break in the house of the person devout in spirit and of soul, for there is no rule of law that could take their children away, no spouse that could take away the responsibility to always love and to forgive, and there is no child that could hate their own parents so completely they would through their parents to the wolves. For those who practice such evils are not the children of God, but the devils belonging to Satan. For being ready means to never give evil an foothold, to never turn the blind eye to evil deeds, and to always stand up for truth and justice even at the risk of a high personal cost or damage to personal reputation and popularity. For surely God does not reward the unrepentant, the unloving, the unfaithful, nor will he condemn the repentant heart who openly accepts the responsibility of their own sins. God is just in all measure and shall use your own methodology you use to judge others on yourself justly so. For in this is a sinful heart never taken nor be unprepared and not ready for the Son of Man when he knocks at the front door. For the wise would argue emphatically “Yes”, and so the wise never ignore, never close and eye, never loose faith, never spreads misinformation or bolsters lies. No the wise are the children of God who are always ready to do good, never tiring, never running away, never handing out false hope, but rather giving love and spreading mercy everywhere they go. This too is the currency of God exhibited through mankind in all the deeds God works through those who are faithful and who are on guard. 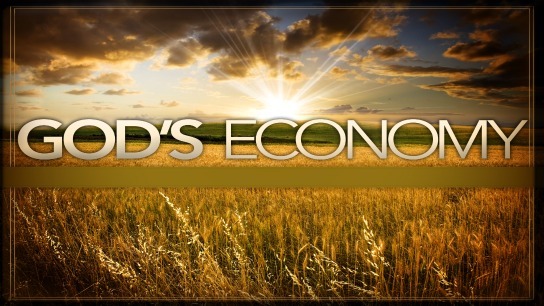 If you liked this Reflection on The Economy of God please leave a comment. Also please “LIKE” and “SHARE” this post with others. DID YOU MISS THE DE-BEAU OF OUR FIRST BOOK ON AMAZON? TO PURCHASE THE SIN SERIES CLICK THE FOLLOWING LINK! What you will find is a biblical account of SIN found in the scripture applied to our modern day lives. The nature o f sin as it was introduced is based upon the most grievous of acts known as Pride. This act as the base sin brings us to the most inhuman levels of existence as it glorifies such emotions as selfishness, greed, wrath, rage, violence, madness, the want for instant gratification, and ultimately leaves the human soul depleted and filled with anger that turns the heart as black as coal. Within this series now in e-book format SIN is discussed in a more understandable, conversational manner that brings the reader through the Origin of Satan, the introduction of the first sin, and then finally through the various pitfalls of sin better known as the Seven Deadly Sins. There is in great detail the path everyone can follow to avoid these sins and their affects on our lives. This Armor Plating which repeals SIN is found in scripture and always starts with forgiveness. If your life is overtaken with SIN and you want out of its grip, or if you simply want to educate yourself on this topic, then there is no better resource than this short e-book produced from the pages of this blog, Get Your Copy Today! May God be with you always, Amen.